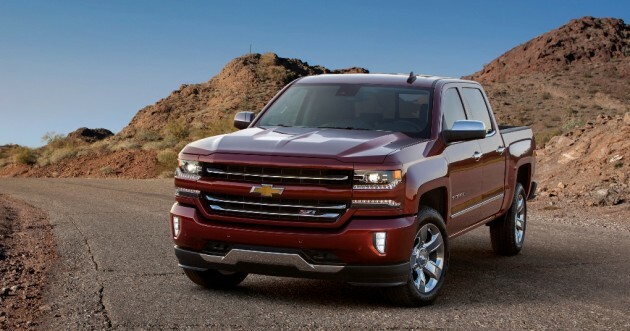 Chevrolet To Incorporate Aluminum In Future Trucks? When Ford rolled out the new 2015 Ford F-150 with its aluminum body, many in the automotive world were skeptical, and General Motors took advantage. As we covered last month, GM has been actively campaigning against the lighter-weight metal used in the F-Series’ latest generation, hiring an independent firm to compare the two automakers’ trucks repair costs and times to each other. We were just as surprised as you when last week we heard from CTV News that GM is planning on adding aluminum to its next generation of trucks and SUVs. The GMC Sierra and Chevrolet Silverado could be adding a lighter-weight steel in addition to aluminum to their bodies in an attempt to cut weight and improve efficiency. GM has issued a press release stating that it is going to be investing $877 million dollars to modify and upgrade its assembly plants, including the one in Flint, Michigan, which is responsible for many of the brand’s trucks and SUVs on the road today. Searching the press release for the word “aluminum” turns up no results, so GM isn’t confirming any of the rumors, but we do know that the bulk of the upgrade money will be going to a new body shop. It took Ford a lot of time and money to retool its truck plants for aluminum and this amount of money makes it look like moving to the lighter metal could be a possibility. We’ll keep you in the loop as more details about the latest SUV and truck generations are released from GM. The updates are expected for 2018, so we might have a while to wait.